Thanks Lugh. 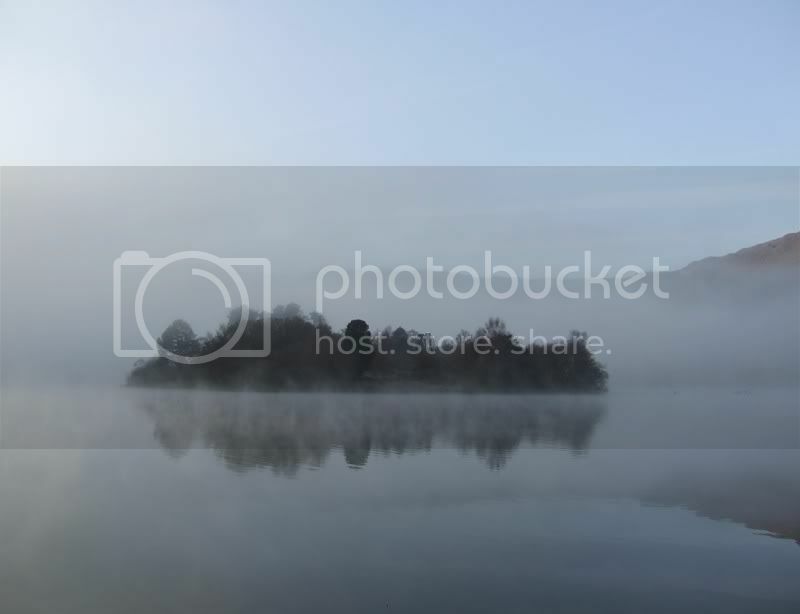 The photograph was taken from the shores of Grasmere in the Lake District last Thursday morning. There had been a hard frost, but the sun was breaking through and making this fairy tale mist rise all over the place. Me and hubby were staying in the Waterside Hotel in Grasmere at the time (celebrating our wedding anniversary). The photo was taken from the hotel grounds. The photo makes me think Arthurian legends - Avalon, Lady of the Lake, all those sorts of things. When I'm next in fantasy mode, I may well do something literary with it.